If you are having any Plumbing in San Tan Valley, AZ issues in your house, you need a skilled plumber to work on the problem immediately. Do not wait for the problem to get worse for you to call a plumber. Remember the longer you wait, the more expensive the plumbing service becomes. Call your plumber for fast plumbing replacement or repair and peace of mind. The biggest impact of having a plumber work on your plumbing system often is that you avoid emergency plumbing issues. Home owners ought to hire plumbers to maintain systems regularly to avoid unexpected plumbing problems from coming up. However, you cannot plan for everything. Sometimes plumbing issues happen at unexpected hours. 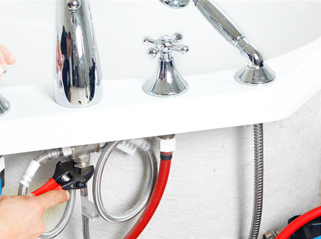 Avoid repairing plumbing issues on your own especially if you lack the necessary skills. Call a plumber immediately you notice a problem with your system. Plumbers have the necessary workmanship to take care of faulty plumbing systems in your house. They have been in the industry for a longer time so they will offer a solution to all your problems regardless of how complicated they are. Almost every home has experienced leakages. However, you cannot quickly locate leaking pipes unless they are exposed. The beauty of hiring skilled plumbers is that they have leak detection tools that help them find unexposed leaking pipes and repair them. Clogs are another common plumbing issue in most homes. Most people associate clog removal with plumbers. Plumbers get rid of clogs using drain snakes and hydro jetters. Plumbing replacement is another common issue. Pipes wear out with time regardless of how durable they are. Galvanized steel pipes corrode with time, so they leak. Plumbers will replace such old and worn out pipes with new ones. Plumbing in San Tan Valley, AZ will also professionally install plumbing system to your property. They also install water heaters and other systems.